I sit here in one of the world’s most hallowed institutions of higher learning, attempting (to no avail) at writing a inventive yet sensible blog post, one whose whit and charm will only force you to read it from beginning to end. But, alas, my efforts are to no avail. So, as anyone in my position would ask himself or herself, who is to blame? Is it the result of my education thus far, one that has lacked to instill in me any sense of creativity? Are years of rote memorization at fault? Would the use of an iPad or a computer have helped me in any way to avoid situations such as the one I find myself in right now? 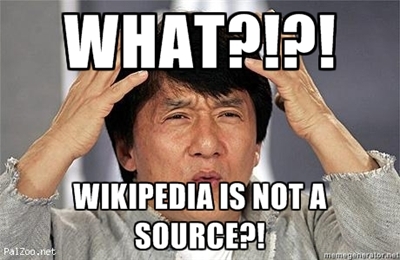 Wikipedia, where are you when I need you most? In all seriousness, the education crisis that we see within our own country has prompted policy makers and schoolteachers alike to reexamine what it means to have a “western education.” More specifically, within the past decade, the prospects of incorporating technology into a traditional western education have become more and more appealing. If we expand our focus more globally, the use of technology would allow for regions that lack fundamental infrastructure and manpower to have the ability to successfully educate a population. However, society presents us with a paradox, of sorts. On the one had, as Issac Asimov contends within his short story “Profession,” technology may accelerate the weaknesses of our current education regime, one that, some argue, promotes rote memorization and, ultimately, the attainment of a job, rather than developing the ability to think critically. In essence, he illustrates the appliancization of the human with an education regime which not only governs whether or not you will “be educated” with pre-determined programing, but also prescribes your line of work, ultimately robbing all but a small fraction of its population the ability to think freely and to learn. Yet, others contend that the current “text book” status quo, cannot continue. Consequently, in examining the traditional methods through which a “Western education” is administered and how these methods will ultimately intersect with technology, (both in the sense of actual hardware and accompanying networks, like the internet) we are forced to ask ourselves, as Asimov contends, what the fundamental purpose of “getting an education” should be. The introduction and development of programs, such as Khan Academy, providing lessons on topics ranging from chemistry to philosophy all housed within cyberspace, have, in part, restored what Asimov sees as the ultimate goal of education: a life long pursuit of knowledge for the sake of learning that will allow for innovation rather than appliancization. To this end, these programs help alleviate the problem of exclusivity not just within our own country’s education system, but within a broader global context. Yet, we would be remiss to assume that technology will solve all of our problems. While the number of open courses at universities like Yale or MIT are growing and the development integrated teaching platforms online help provide equal access, they do not completely address the underlying socio-economic and cultural barriers that we are faced with in reality. Furthermore, there is no point in having these technologies available for little to know cost if those who need it most will not have the infrastructure (i.e. computers) to make use of such opportunities. There is only so much projects and organizations can do. As for right now, and I’m sure for decades to come, a college degree will continue to be a signal to employers and society “that you’ve passed a certain bar.” Time will only tell if we can develop as Neeru Paharia, founder of Peer 2 Peer University which allows users to set up or participate in online classes, puts it, “alternative signals that indicate to potential employers than an individual is a good thinker and has the skills he or she claims to have—maybe a written report or an online portfolio.” It is clear, however, that we are experiencing the beginnings of “ unbundling,” where the four elements of education—design of a course, delivery of that course, delivery of credit and delivery of a degree—will no longer be housed under “the same institutional setting,” as suggested by Roger C. Schonfeld, research manager at Ithaka S+R, a nonprofit service that helps academic institutions use technology for research and teaching. Ultimately, as technology and education walk hand and hand into the future, a balance of sorts must be found, preventing our society from heading down the same path that Asimov so strongly heads against.